You are recieving this newsletter because you either signed up at or bought from hormonesolutions.com or Lawley Australia. I get hundreds of emails each year from people lamenting the lack of accurate, reliable, proven and trustworthy information about hormones. The internet is a wonderful source for researching any subject, however when it comes to hormones it seems that most websites are selling the magic bullet to cure all hormone ills. When it comes to hormones there is simply not the single magic pill, potion, powder, troche, drop, gel, cream or injection to fix all things hormonal. I attend many conferences throughout the course of a year and some of the best and brightest minds in the world of hormones have heated debates about what are and are not appropriate treatments for managing various hormone related conditions. Do we or don't we treat men who have all the classic symptoms of low testosterone - moody, extreme tiredness, declined physical and sexual motivation, weight issues and depression - but have testosterone blood levels just above the bottom end of the normal range? The man described above is termed the late-onset hypogonadal male and is now over 30% of the adult population. The science shows he is a heart attack waiting to happen and is possibly of the most undertreated and polarising issue in medicine today. Similarly, the debate rages on the issue to treat or not to treat women who have had their ovaries removed with testosterone. The science is rock solid that in many of these women their libido and energy level disappear within weeks of the surgery and is on-going. The ovaries produce the bulk of the hormones estrogen, progesterone and testosterone. For decades estrogen has been the mainstay of hormone supplementation post surgery despite volumes of clinical trial evidence showing supplemented testosterone improves libido and energy in these women. Yet only a small fraction of women are offered testosterone as part of their hormone replacement. If medical experts worldwide cannot find consensus on some of these issues what hope has a patient of making an informed decision? The new HormoneSolutions website contains video and written responses to frequently asked questions, detailed downloadable condition-specific information booklets, online self-assessment questionnaires and links to authority websites for a balanced approach to understanding. As we build addition features into the website we hope it will provide men and women with a comprehensive starting point to finding their personal hormone solution. Please email me any feedback you may have on how we can improve the website. Never too old to learn!! My kids tell me emails are now an old school means of communicating. I really like email (old school or not), however to start a Blog was a bit daunting because I had never really understood the concept of blogging. You're so interesting! I don't believe I've read through something like that before. So wonderful to discover somebody with a few unique thoughts on this subject matter. Really.. thanks for starting this up. This web site is something that is required on the web, someone with a bit of originality! That comment related to my post Alzheimer ’s disease - measure testosterone levels when young and healthy a week or so ago. 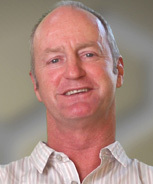 HealthEd runs Australia's most popular seminars for Health Professionals. 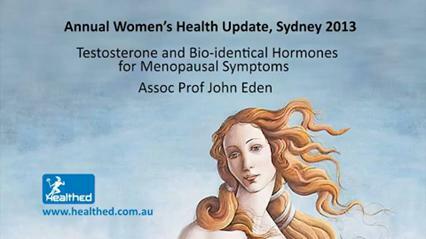 In February this year Associate Professor John Eden, reproductive endocrinologist, Medical Co-director of Gynaecology at Sydney's Royal Women's Hospital, Director of the Sydney Menopause Centre and the Director of the Women's Health and Research Institute of Australia gave an enlightening and humorous presentation on Testosterone and bio-identical hormones for menopausal symptoms to over 1000 doctors and allied health professionals. Is testosterone the patsy for prostate cancer? Low libido in women – fact or fiction? Hormone Solutions is a wholly owned subsidairy of Lawley Australia.